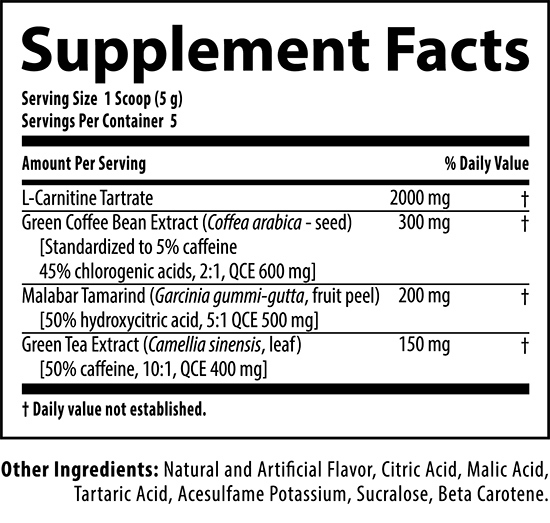 One of the primary functions of the L-Carnitine amino acid is to support your body to metabolize fat. It achieves this by carrying fatty acids from the bloodstream to the mitochondria of your cells to be used as fuel - while carrying waste products out. 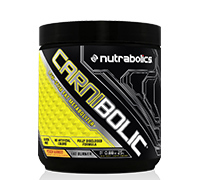 CARNIBOLIC™ works to support this process by ensuring that your body has surplus levels of L-Carnitine to help ensure that your body maximizes its usage of fat as energy. By targeting fat utilization and storage with L-Carnitine found in CARNIBOLIC,™ you can help your body accelerate the process of achieving lean, defined musculature. Cardiovascular Support Usage: Take 1 serving 2-3 times daily with a meal or as directed by your qualified healthcare practitioner. Add 1 scoop (5 g) to 8-10 oz of cold water and stir or shake for a few seconds. For best results combine with a diet and workout program.